Tilt your head back and look up, take a deep breath and then look back down. Doesn’t matter if there’s no kite in sight at the moment. Looking up feels good. 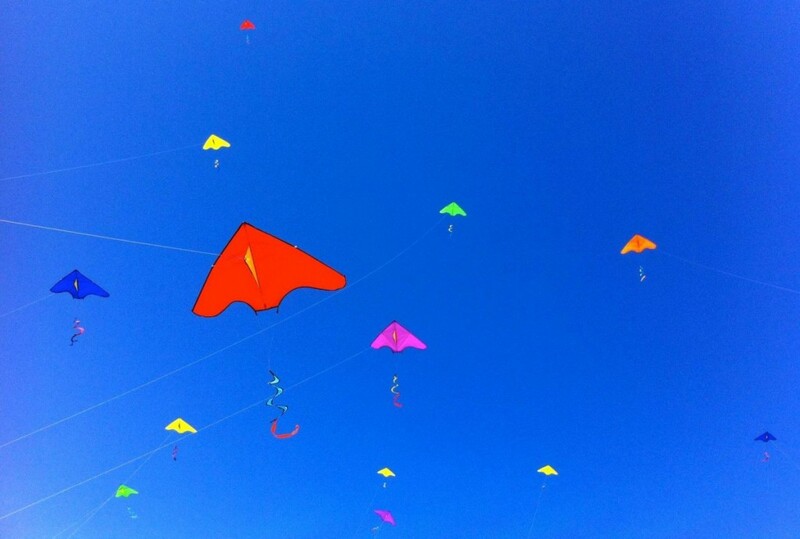 The simple act of looking up is one of the things that makes kite flying so compelling. 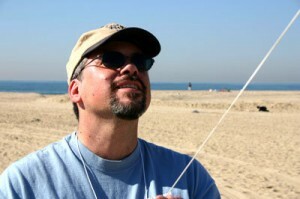 When we look up at a kite our body and our senses shift just a bit. Even the most humble kite can have a surprising effect because of this. Of course “looking up” can also be an attitude, or point of view. Maybe the attitude and activity go hand in hand? As I write this, things are certainly looking up for me. I’ve been given the chance to take on KiteLife and help it grow and reach more people. This is an opportunity to give back to a community which has been incredibly kind and generous to me over the past 15 years. Looking Up will also be the name of this column, which I will use to update readers on KiteLife activities and pass on other bits of kiting info which may be of interest. My first goal as Executive Editor is to keep KiteLife moving along. With John and many other contributors increasingly busy in other areas of kiting (and real life!) the number of articles has dwindled sharply over the last year or so. I’ll be working with current and past contributors and doing my best to bring in new articles and photos from all kinds of kite people. We’re kicking off the new year with an article on indoor flying and ice skating and an article from the Drachen Foundation. If you would like to jump on the bandwagon, article submission information can be found here. Longer term I’ll be considering how KiteLife can best serve our community and looking for input from all quarters. KiteLife has changed a lot over the years along with the Internet and kiting in general. As a platform, this site can do and be practically anything we want it to. If you’d like to talk about what I’m up to with KiteLife and provide encouragement, criticism or just bad jokes, I can be reached at editor@kitelife.com. This entry was posted in Looking Up and tagged change, editor, featured.